​Taylor Swift Drops New Single "Call It What You Want"
Taylor Swift's Reputation rollout hasn't gone entirely smoothly, generating controversy with her "Look What You Made Me Do" and "…Ready for It?" videos — but she's nevertheless charging full speed ahead towards the new album's arrival. Following the aforementioned videos, as well as the single "Gorgeous," Swift has unveiled another track from the upcoming album. 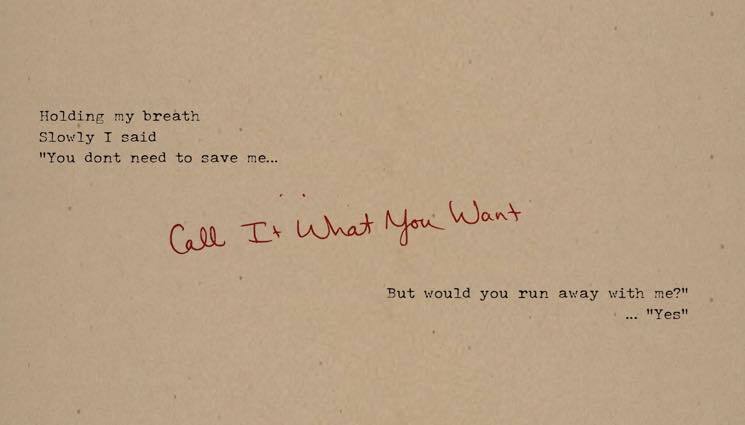 "Call It What You Want" has arrived, just as Swift promised with her Instagram teasers. Call It What You Want. Midnight Eastern. Listen to "Call It What You Want" below. As previously reported, Reputation is due out November 10; on November 11, Swift will appear as the musical guest on Saturday Night Live.